If it’s adventure in the great outdoors you’re seeking, then head to our multi award-winning Hereford Club campsite. The Malvern Hills and Wye Valley, the Black Mountains and the Forest of Dean, all ripe for adventure, are within striking distance of our campsite near the popular county town of the same name. Equally the campsite’s idyllic rural location, next to The Millpond, a stunning three-and-a-half acre fishing lake, makes it perfect for a relaxing break or simply to explore the many attractions of the area at leisure. A lovely tree-lined driveway delivers you to our attractive Hereford Club Site. The vast site caters for up to 102 units. Some of the spacious pitches overlook the fishing lake. The excellent facilities include modern amenity blocks, a playing field and a dog walk. The pedestrianised streets of the quiet market town of Hereford are perfect for an afternoon’s stroll. The town has many black and white buildings, including the Old House. Hereford Cathedral is worth a visit as is the cider museum which offers tours. The Herefordshire Cider Route, a driving or cycling tour of the county’s farms, orchards and pubs, starts from here. The Elgar Route is another driving trail that takes in over 40 places of interest relating to the composer’s life and music. Head to Ross-on-Wye for Goodrich Castle, a red-sandstone stronghold. A little over two miles south, Symonds Yat is a popular beauty spot overlooking the River Wye. If you'd like to go glamping then Hereford Ready Camp is the perfect choice. (Please note that, although we welcome dogs on this site, in the interest of all guests we do not permit pets to stay within the Ready Camp tents). WiFi is available at this site. However please note the service is supplied by a different provider therefore your Site WiFi card (powered by Infinium) cannot be used. Please contact the site direct for more information. Coarse fishing available on site, please contact site for current prices and guide lines. The well-stocked on-site shop sells fishing bait and tackle. Please note that dogs are not allowed on buses. Regular farmers’ markets are held in Hereford, Ledbury, Leominster and Ross-on-Wye. The site shop sells local breads and meats as well as honey and apple juice. Nearly 1000 years old, Hereford Cathedral is a Gothic structure boasting towering spires and grand arches along the nave. Explore the cathedral and read Mappa Mundi, the world’s largest medieval map dating back to 1285AD. Located in the heart of the city, the Black and White Museum is a 17th century timber-framed building and arguably Hereford’s most photographic structure. Since 1929, this museum has offered a fascinating insight in to life in Jacobean times. Located in a former cider factory, Hereford Cider Museum exhibits a compilation of film, documents, cider mills and presses that show the history of British cider and the process behind producing it. The iconic Malvern Hills stretch over Worcestershire, Herefordshire and Gloucestershire. Its rolling hills and fantastic viewpoints make it an ideal place for walking, cycling and horse riding. 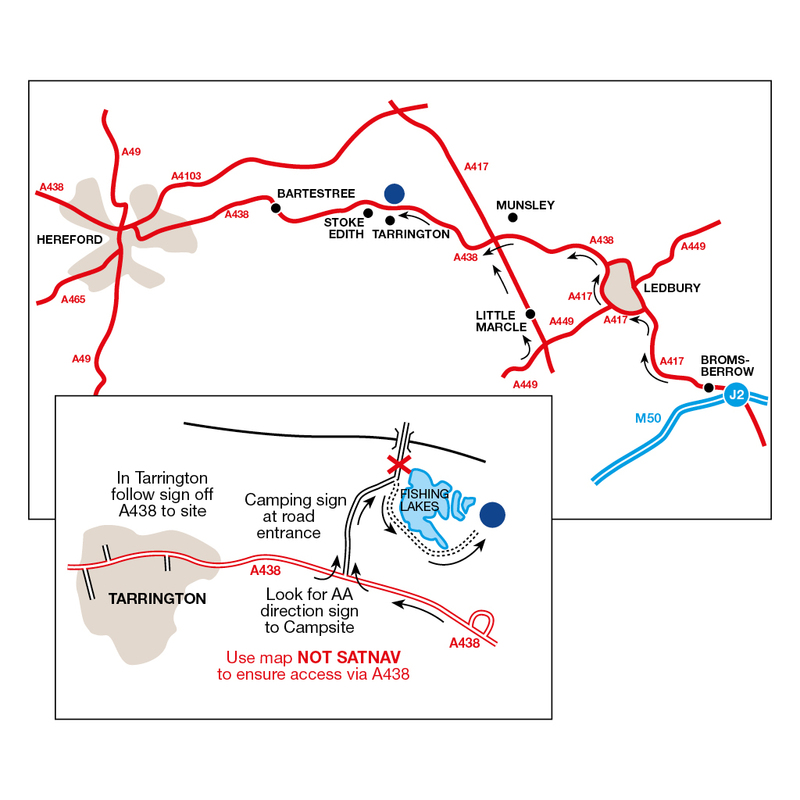 The Cotswolds is within easy driving distance of Winchcombe Club Site.